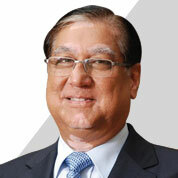 Mr. Munjal was appointed as an Additional Director on the Board as on July 29, 2010. He is the Executive Chairman (Whole Time Director) of Rockman Industries Ltd, one of the leading suppliers of aluminium die casting, machined and painted assemblies to Hero MotoCorp Ltd. A graduate in Commerce, he possesses rich experience and expertise in business management. Over the years, he has been instrumental in elevating Rockman Industries Ltd. to its current status. Years of experience and expertise have led Mr. Munjal to earn a place in the Boards of various companies.